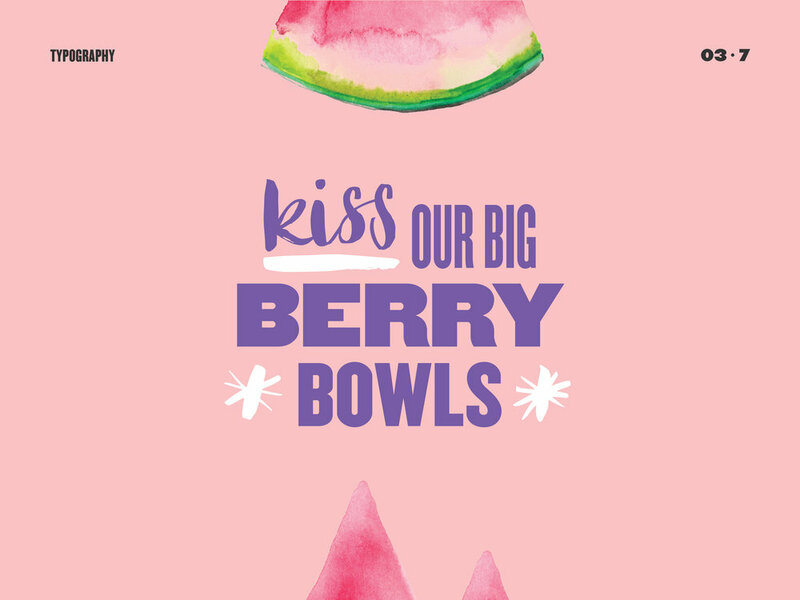 The KTB co-founders started Kiss the Berry in July 2013 and the business has since grown from a market stall to recently opening a second store on Grey St in the South Bank precinct. Autumn. Studio gave KTB a refresh that built upon an existing set of values and aesthetics. Key to this development was the creation of seasonal patterns used to promote produce and seasonal specials. The result was a consolidated mark and visual style that can evolve with the rapidly expanding business. 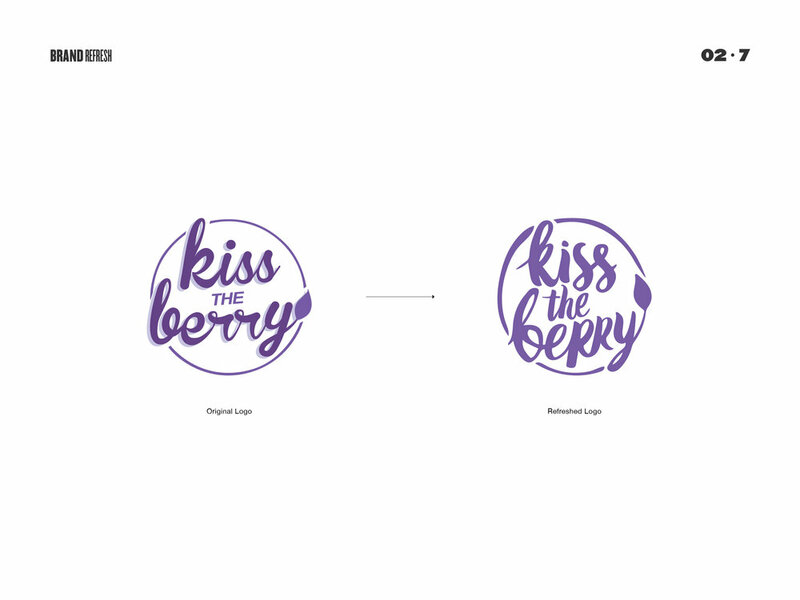 The KTB co-founders started Kiss the Berry in July 2013. The business has grown from a market stall to opening stores in Brisbane City, South Bank, Burleigh and Woolloongabba. Autumn Studio gave KTB a refresh that built upon an existing set of values and aesthetics. Key to this development was the creation of seasonal fruit illustrations used to promote produce and their seasonal menu. The result was a consolidated mark and visual style that can evolve with the rapidly expanding business.